The irrigation scheme will take water from the Waitaki River to irrigate land between Waimate and Timaru. 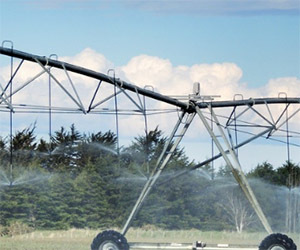 Hunter Downs Water has previously obtained water-take consent from Environment Canterbury and a development grant from Crown Irrigation Investments Limited. A requiring authority has the ability to set aside land for infrastructure, such as road, rail, energy or water. This authority status is necessary to enable the scheme to be developed. This decision gives Hunter Downs Water Ltd the authority to apply to the Timaru and Waimate councils and Environment Canterbury for the necessary designations to implement the scheme, which has the potential to irrigate 40,000 hectares, serving approximately 200 farms, yielding an estimated increased output of $830 million per year from South Canterbury.